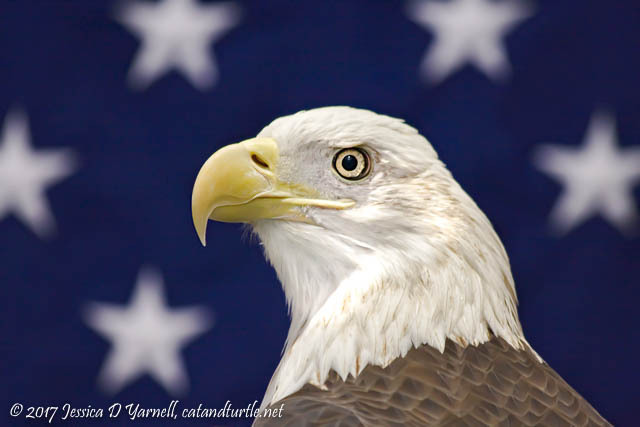 Blog > Backyard photography > Happy Fourth of July! We went walking on the General Van Fleet Trail this morning but only spotted Downy Woodpeckers and a few unknown brownish/grayish birds on the trail. But we did see plenty of Sandhill Cranes on the way there, and they do have red on them, and lots of Cattle Egrets (white). So I’m only missing a blue bird. I saw a blue heron by the lake near out house yesterday, but with all the July 4th activity, it wasn’t there this morning. Goldy saw a red cardinal, white ibis, and blue jay out of her window this morning. Now she’s hiding from the noise of fireworks!